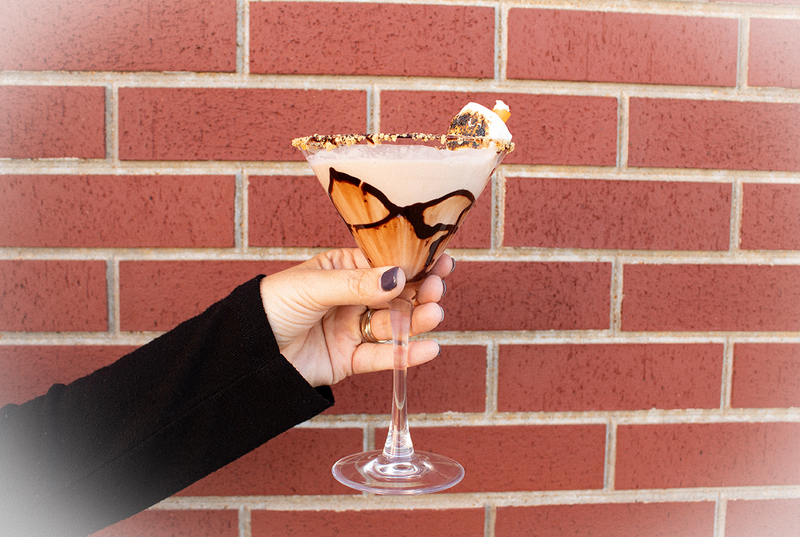 This Mixed Drink Monday learn how to make a S’mores Martini! This is the absolute perfect drink for the fall season and we hope you enjoy it. Step 1: Drizzle chocolate sauce onto a rimmed plate. Step 2: Finely crush graham crackers onto a separate rimmed plate. Step 3: Dip the rim of the martini glass into the chocolate sauce and then the graham crackers. Step 4: Drizzle more chocolate sauce on the sides of the martini glass if desired. Step 5: Pour 1/2 cup of chocolate milk into shaker filled with ice. Step 6: Pour 1/4 heavy cream into shaker. Step 7: Pour 1.5oz of Pickers Vodka into shaker. Step 8: Shake and strain contents into martini glass. Step 9: Top with a toasted marshmallow.